A traumatic brain injury (TBI) is a significant cause of death and lifelong disability here in the United States. According to Brainline, traumatic brain injuries account for around 30% of all injury-related deaths annually in the country. Each day, around 153 people pass away because of their TBI injuries and symptoms. But, not everyone dies from their injuries. Some endure a lifetime of disabilities, pain, and discomfort. The long-term effects of traumatic brain injuries may include memory, movement, and sensation impairment, though every case is unique. 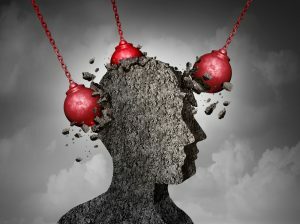 A traumatic brain injury is a significant bump, blow, or jolt directly to the head that may disrupt everyday functions. Not every injury to the head results in a TBI, though. Some bumps are minor and result in nothing more than a headache. But, with a TBI, the severity ranges from “mild” to “severe.” Most are mild, such as a concussion. Then, you have the more severe cases, in which memory loss or extended unconsciousness are more common. According to research, around 2.8 million TBI-related emergency room visits occur each year. These visits result in long-term hospitalization and death. Thankfully, despite the increased number of TBI-related visits to hospitals across the country, the death rates have decreased. The decrease is just 5%, but that is significant enough to warrant notice. With all of the recent advancements in medical equipment and treatment procedures, doctors are now able to better help TBI injuries and patients through better care. We can sit here and discuss statistics all day, but a better use of recent research is learning what the leading causes of traumatic brain injuries are and how to prevent one. Falling – Slip and fall accidents accounted for nearly 50% of all TBI-related injuries and hospital visits. With a falling incident, both the youngest (0-14 years) and oldest (>65) age groups are affected more than anyone else. Accidents – A car accident is the third leading cause of TBI-related injuries in the United States. Around 14% of all TBI injuries are due to car accidents. Regarding deaths associated with TBI injuries, intentional self-harm ranked as the second most common, with 33% of the total deaths, according to reports. If you or someone you love suffers from a traumatic brain injury that makes everyday activities troubling, find solace in the TryMunity support community. We have a wealth of knowledge on living with TBI injuries, caring for TBI patients, and emotional support for all! Visit community.trymunity.com to learn more.